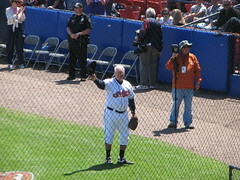 Bob Feller waves goodbye for the last time in Winter Haven on March 27, 2008. The greatest Indians pitcher of all time. Life	Slurp…Is That Saint Peter Over There?